Volkswagen, the German automotive manufacturer, is producing cars since 1937. VW is one of the sixth largest automobile companies in the world by revenue. 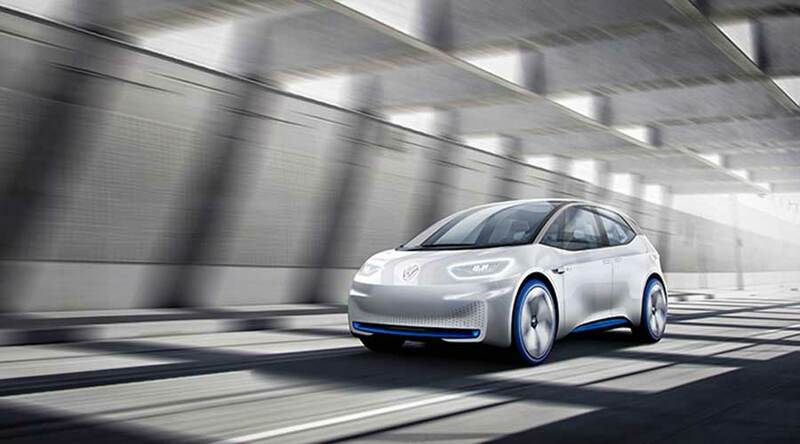 The company is showcasing its new range of electric concept cars starting from Volkswagen ID concept. The Volkswagen ID concept car is based on an all-new electric car platform. This car may able to learn your preferences, driving style and may help you to reach the destination. This car is fully electric with zero tailpipe emissions. The Volkswagen introduced the ID concept in 2016 Paris motor show. The company is targeting to start its production in 2020. The car has no internal combustion engine. The hassles of maintaining a hybrid vehicle can be entirely avoidable. This electric car has a range of over 370 miles on a single charge. The automated driving may be incorporated in the future. The car has unique futures that will change the entire concept of driving. The most noteworthy feature of this car is a retractable steering wheel. This steering wheel can retract into the instrument panel. So, it creates a sense of space in front of the driver. This sense of space is evident throughout the car. The batteries are located on the floor while the electric motor is placed on the rear axle. Thus, it creates more room in the cabin. The electric cars itself have more space than the traditional IC engine driven cars. Volkswagen took the advantage of this functionality; ultimately creating more space. The connectedness and intuitive functionality help in engagement with passengers. The car will interact with the driver. It will automatically apply settings according to individual preferences. This positive interaction creates welcoming environment and better driving experience. Furthermore, as the name suggests each potential driver of Volkswagen I D concept will get a unique ID. So, S/he will not need to carry the physical keys. Instead, a simple compatible Smartphone can help you unlock the car. This ID also helps you to store personal settings such as navigation preferences, seat height, temperature control and your favorite songs. The active Head-Up Display is already present in some of the top models. The ID concept car will go further. It will offer more than one Head-Up Displays. This car will not have any buttons and sticks, but only screens. So, you don’t need to fumble around keys and sticks. Just a touch on the screen will solve the purpose. Furthermore, the digital key is installed on the Smartphone. So, sharing the key will be easier. The electronic keys can unlock and start the car. Digital keys will be more secure and easy. In addition, you don’t need to be present on location to share keys. You can simply share them remotely. What is inside the Volkswagen ID concept car? The Volkswagen ID concept car has electric motors producing 170 PS (125 kW) of raw power. It has a top speed of 160km/ph. It can go from 0-100 km/ph in less than 8 seconds. The estimated market launch is in the year 2020. In conclusion, the Volkswagen ID concept car is designed around new design language which focusses entirely on SPACE The sense of space is primarily achieved by the retractable steering wheel. All in all, it will change the automotive market dimension completely. 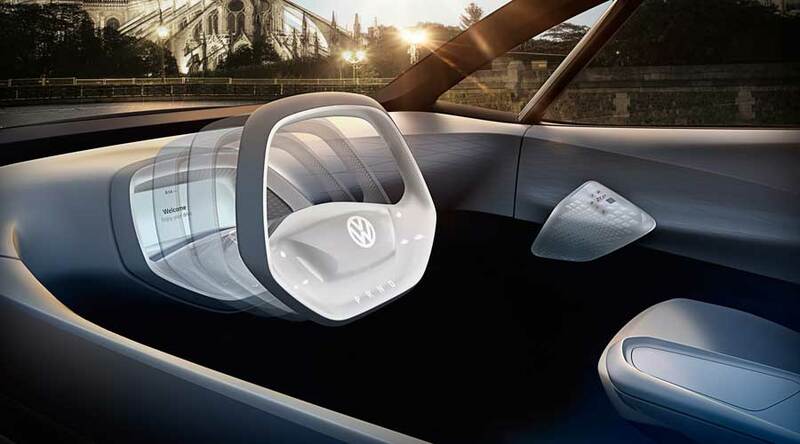 Home » Articles » Volkswagen ID concept car: Fast forward into the future…! Electric road…What…? Are You Kidding?